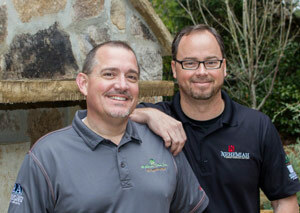 A few years back, two friends in the remodeling industry, John Gwaltney and Bryan Miller, began to discuss a potential partnership. They both owned successful companies that specialized in a Niche area of remodeling, often referring each other to their clients. Out of this conversation and their personal faith stories, Virtus Family of Companies (VFOC) was birthed. Today, VFOC is the parent company of 3 locally renown remodeling brands, each serving the Atlanta area as an expert specialist in its field. VFOC has a focus to “Change the industry image, within their circle of influence”. They achieve this by being committed to having the highest level of licensing and training in their specialized fields, by developing systems and process of production and customer service that lead the industry and by serving their customers, vendors and team mates with Grace and Excellence.